One thing is certain, managing new and evolving challenges using decades-old, traditional methods is no longer an option. Instead, innovative strategies for real cost control are required. How will we pay for all of this? 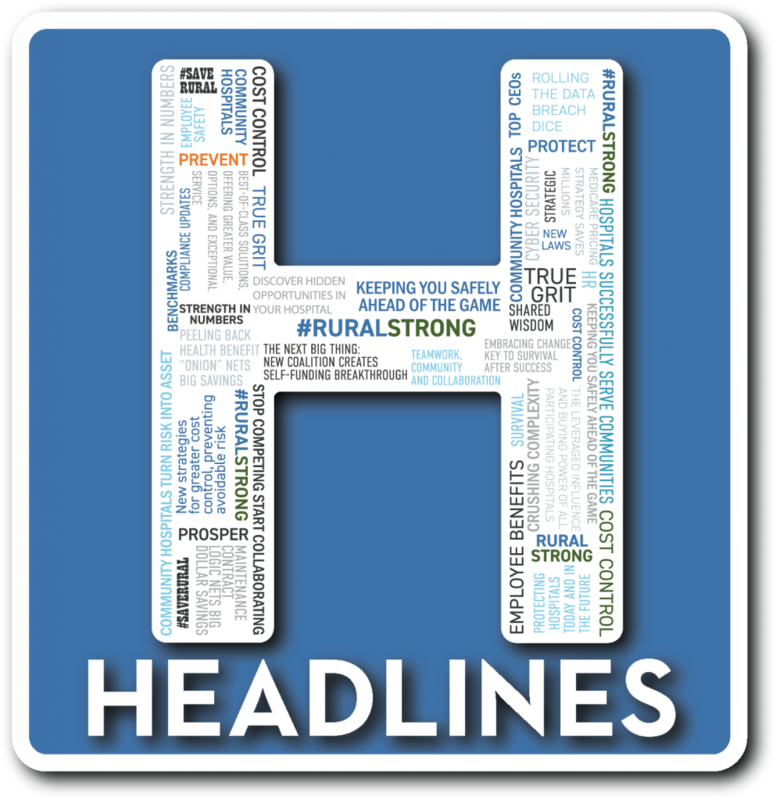 The men and women managing America’s rural hospitals are among the most innovative administrators in healthcare. Their ability to not only keep their hospitals going, but to actually thrive in what is too often described as a hostile environment, is exceptional. Leaving no stone unturned in the pursuit of new ways to control costs and generate revenue, they are leading a rapid departure away from the traditional way of purchasing health insurance. Instead of paying premiums for the privilege of relegating responsibility for employee health and well-being to an insurance company, rural hospital executives are taking matters into their own hands. If you have been sitting in on the monthly webinars we’ve been hosting as managers of the new Rural Hospital Insurance of America (RHIA) program (sponsored by NRHA), you have heard us describe what is occurring as real cost control. Real cost control is long term, and strategic. It delivers significant results and empowers hospital leaders to gain more control of their present and future. It is not stopgap, short term, purely transactional. And, unlike the traditional process of putting your benefit program up for bid, you never regret doing it a year or two later. 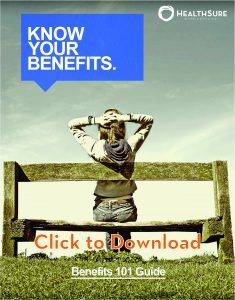 Let’s not forget the word benefit means something that is advantageous or good. It is apparent employers think providing benefits is advantageous: Willis Towers Watson reports in its latest Best Practices in Health Care Employer Survey that 92 percent of employers say their organizations will still be sponsoring benefits five years from now. Fundamentally then, we have two parties – employers and employees – both seeking to receive significant value from benefit plans. If you keep on doing what you’ve always done, you’re going to be paying more for less year in and year out. The value you and your employees receive will decrease while the costs to both of you will increase. And, these costs are not just financial. For example, employers are now relying on their benefit programs to do more than attract and retain employees. Increasingly, their primary objectives are higher levels of employee engagement and productivity. Rural hospital leaders know that a disengaged employee is not simply unproductive; the potential threat they pose to patient safety is all too real. Employees too have much at stake. 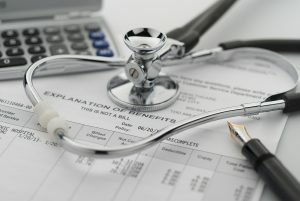 For example, avoiding appropriate medical care because of high co-pays or deductibles can lead to catastrophic results. Within the existing structure of most benefit plans are opportunities for achieving real cost control. Here are four examples. One of the most effective approaches we’ve seen that does not reduce benefits or increase employee contributions is implementing medical appropriateness and medical necessity reviews. It can also include proactive management of specialty pharmacy, infusion therapy, and other high cost claims. Hospitals have an advantage over other employers because they can motivate their employees to use the hospital’s facilities for the care they need. The resulting cost control is immediate and substantial. This often leads to creating tiers in plan design that incentivizes employees to use higher quality and lower cost providers. Once a hospital directs all they can internally it is critical that large claims outside of their facilities are negotiated to discounts much better than typical PPO networks. Whether you call it Reference-Based Pricing or something else you must be negotiating to stay ahead in this game. Employee communication is perhaps the most neglected inside the box asset that can be better leveraged with some steady attention. Studies show an educated employee places a significantly higher value on their benefit program. Beyond perceived value – which works to encourage engagement and productivity – going past the traditional enrollment and onboarding communication nets significant real dollar savings. Modern, real cost control, communications programs provide ongoing education, personal guidance, and proactive outreach prior to or during significant life events, an educated employee is typically healthier and a much better steward of their benefit dollars. Our experience at HealthSure includes designing and managing group buying programs for the National Rural Health Association (NRHA), Texas Organization of Rural and Community Hospitals (TORCH), and New Mexico Rural Health Network (NMRHN). These programs benefit rural hospitals by leveraging the group’s collective buying power to reduce the cost of insurance while enticing carriers to increase the level of service and include additional features. In addition, by thinking outside the box and embracing the concept of strength and power in numbers, rural hospital leaders are discovering new cost control opportunities that do not exist within the traditional insurance-based model. For example, rural hospitals have been told for decades that they are too small for partially or fully self-funded plans. For years HealthSure has helped hospitals benefit from these out of the box funding solutions. In the coming months, we are spearheading an initiative that will enable these “too small” hospitals to collectively buy stop loss coverage as a coalition. It’s one small step, but this means the men and women managing rural hospitals across America can carefully and cautiously reduce their dependence on traditional insurance. And, along the way, they will discover some unexpected but very significant cost control opportunities. Risk is an asset… YOUR ASSET! Reducing your dependence on traditional health insurance means taking on some of the risk you used to off-load to health insurance carriers. These companies know the rewards typically outweigh the risk; there is money to be made after the claims are paid. They know your risk is an asset and, if you let them, they know they can leverage your risk to make huge profits. Before even the smallest step towards reducing dependence on insurance is made, a paradigm shift in how risk is defined must occur. The traditional view that risk is bad and to be avoided at almost any cost is replaced with the realization that risk is an asset that can be managed just as every other asset type is managed. Once this shift occurs, a new world of opportunity is revealed. Sometimes unexpected, the results go far beyond taking back the profit inherent in risk management. For example, self-insurance means your hospital has more skin in the game. The need to mitigate risk in order to reap the profits once claimed by the insurance company results in a critical assessment of how employee benefits are provided and utilized. Everyone becomes a stakeholder. Every health and wellness decision becomes an opportunity to contribute to the plans’ success. Effective health and wellness programs immediately become essential which typically means replacing old-fashioned feel good tactics with tangible, easily measured performance standards. As our stop loss buying group comes to fruition in the next few months, participants will find themselves in the company of hospital leaders who are using unique and innovative ways to meet the ever-evolving challenges all rural hospitals will face. As the participants in our other programs have learned, there is tremendous value in being part of a group of hospital leaders who are happy to share and compare best practices. As we have seen with RHIA, TORCH and NMRHN, the more hospital leaders participate, the greater the rewards for all. 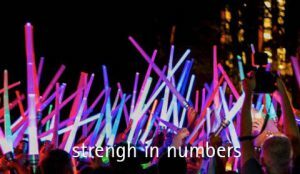 Not only does the quality of innovation and best practices excel, so too does the ability to attract new participants. It’s a multiplying effect: attracting participants results in greater buying power, more innovation, and more success for each participant… which in turn attracts even more participants. Each of the inside the box strategies we highlighted can be implemented almost immediately in most rural hospitals. We can help you decide what will be most effective for your hospital and how to best go about implementing your real cost control strategies. Contact us to learn more about any of our buying groups and to be kept abreast of the progress of our new stop loss buying initiative. When it comes to grit, true grit, the men and women managing rural hospitals in America have it in spades. Join our panel as we explore the true grit, commitment, and perseverance one rural hospital relied on during its journey to becoming recognized as one of the very best in the country. Join webinar moderator Barry Couch, with panelist Jayne Pope CEO HCM and Emily Padula, Chief Strategy Officer HCM as they share practical ideas, tactics, and takeaways that will immediately help you in your journey. 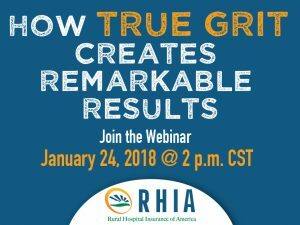 This is the first of several True Grit webinars being presented by Rural Hospital Insurance of America (RHIA). By exploring what it takes to succeed, this webinar will provide rural hospital leaders with innovative strategies and new ideas that are highly relevant and practical. The RHIA program is offered exclusively to rural and critical access hospitals nationwide. Its mission is to keep all rural and critical access hospitals in America safely ahead of the game. Program members benefit from group buying power, access to innovative, class leading solutions, and the wisdom that comes from decades of dedication to rural hospital success. Jayne Pope, MBA, RN, FACHE has served as the Chief Executive Officer for Hill Country Memorial since 2013. Prior to accepting the CEO position, Jayne served as Chief Nursing Officer, overseeing all nursing activities including inpatient and outreach areas. Formerly, Jayne served as CEO of Clinic Systems at a large network of clinics in Central Texas. While at St. David’s Georgetown Hospital, Jayne served as Chief Nursing Officer and Assistant Vice President of Nursing. As CEO she has implemented initiatives to improve staff ownership of key initiatives, resulting in empowered teams, improved patient outcomes and leadership development. 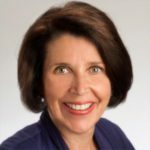 A visionary and strategic leader, Jayne served in several major initiatives that led to full Joint Commission accreditation, Texas Nurse Friendly status and Chest Pain Center accreditation. 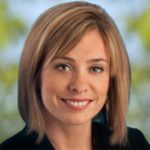 Emily Padula, RN, MHI, FACHE is the Chief Strategy Officer at Hill Country Memorial. Her role also includes executive oversight for the hospital’s growth efforts, healthcare integration across the continuum, accountable care organization, and clinical quality. Her experience includes clinical analytics, healthcare operations leadership in ambulatory care, acute and post-acute care, clinical staff education, quality, and direct patient care. In 2016, Emily was recognized by Becker’s Hospital Review as one of the nation’s 50 Rising Stars under 40 in Healthcare Leadership. Although the tax reform bill eliminates the ACA’s individual mandate penalty, this repeal does not become effective until 2019. Moving expense reimbursements are not deductible for employers and cannot be excluded from employees’ gross income. In addition, effective for 2018 and 2019, the Act creates a federal tax credit for employers that provide paid family and medical leave. Because most of the Act’s provisions became effective on Jan. 1, 2018, employers should start working with their tax advisors to determine how the tax changes will impact their businesses. Code Section 132 allows employers to provide certain transportation benefits to employees on a tax-free basis. These benefits include qualified parking, transit passes, and transportation to and from work in a commuter highway vehicle (“vanpooling”). Prior to 2018, bicycle commuting reimbursements also qualified for this tax exclusion. Qualified transportation expenses paid by either the employer or employee can be excluded from an employee’s gross income, up to certain limits. For 2018, the tax exclusion limits are $260 per month for qualified parking expenses and $260 per month for transit passes and vanpooling expenses, combined. Beginning in 2018, the Act eliminates the employer deduction for expenses associated with a qualified transportation fringe benefit program. The Act also eliminates the deduction for any expenses incurred in connection with providing transportation to an employee in connection with travel between the employee’s residence and place of employment, except as necessary for ensuring the employee’s safety. However, with the exception of bicycling commuting expenses, the tax exclusion for employees has not changed—qualified transportation benefits are still excludable from employees’ gross income. The tax exclusion for bicycling commuting benefits is suspended for tax years beginning after Dec. 31, 2017, and before Jan. 1, 2026. Before 2018, employers could pay or reimburse an employee’s eligible moving expenses related to starting employment at a new principal place of work on a tax-free basis. The Act suspends this income exclusion from 2018 through 2025 tax years. It also suspends the employer deduction for qualified moving expense reimbursements for the same period of time. However, the income exclusion and deduction still apply in the case of a member of the U.S. armed forces on active duty who moves pursuant to a military order and incident to a permanent change of station. The Act creates a new temporary tax credit for employers that provide paid family and medical leave to their employees. The tax credit, which applies to wages paid in 2018 and 2019, is equal to a percentage of wages paid to employees who are on family and medical leave. 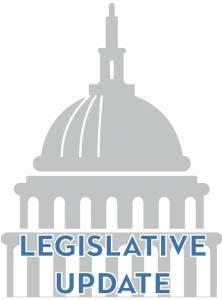 Paid leave that is provided as vacation leave, personal leave, sick leave, or required by state or local law is not taken into consideration. To qualify for the tax credit, an employer must have a written policy in place that provides at least two weeks of paid family and medical leave for full-time employees (proportionally adjusted for part-time employees) and a rate of payment that is at least 50 percent of an employee’s normal pay rate. 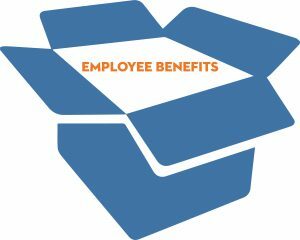 Employee benefits are a crucial but often complicated part of an employment package, and it is not always as easy to understand quantifiable perks such as salary and vacation time. However, insurance benefits are much more than just a workplace bonus—they are key safeguards that can enhance your quality of life for decades to come. When you first receive information about your employee benefits package, you might feel a bit overwhelmed. The complex terminology and mechanics of insurance policies can be daunting, and you might be uneasy about spending a portion of your paycheck in return for something that may not be of use to you for some time. There is also the anxiety that results from wondering how to take full advantage of these benefits as well as knowing that these are big decisions that can have a significant long-term impact. This guide is intended to provide you with the basics about employee benefits so that you can understand what your employer is offering to you. ©2018 HealthSure. All Rights Reserved. ©2018 Zywave. All Rights Reserved.